The centuries-old battle against white supremacy in the United States claimed another life, another hero, this weekend. On Saturday, August 12, James Alex Fields murdered Heather D. Heyer as part of his participation in the white “Unite the Right” white supremacist rally in Charlottesville, Virginia. Fields smashed his car into a peaceful crowd of anti-racists, crashing into other cars and hurting as many as 19 people in addition to killing Heyer. Other white supremacists and neo-Nazis attacked and injured other anti-racist counter-protestors throughout the weekend. LeftRoots and its members share the grief and pain of those injured in Charlottesville and the loved ones of the victims and survivors. 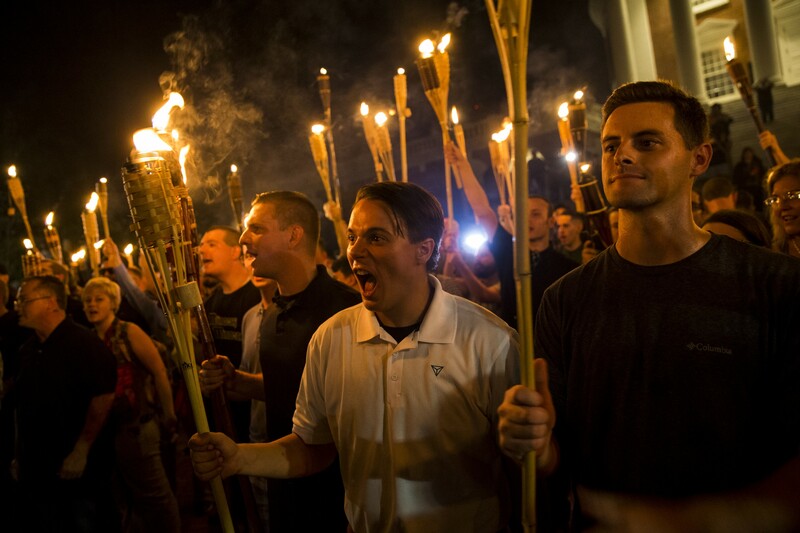 We stand with all the people of Charlottesville and other people of conscience who, when hundreds of white supremacists, many bearing fire and weapons, descended on their town, came out to the streets to oppose them. Their resistance to white supremacy is as inspiring as the attacks against them are horrifying. This new surge in far-right violence is nothing alien or exotic to the U.S. political experience. Indeed, such violence is endemic to U.S. racial capitalism, and has been from the very birth of the nation. While not novel, the political character of this weekend’s violence was unusually naked and ugly, such that even Republican leaders have had to denounce white supremacy as “un-American”. Except, of course, for Donald Trump, who has refused to name white supremacy, Nazism, or the KKK, instead vaguely condemning hate and violence from “many sides,” using false equivalence to let the far-right terrorists off the hook. Indeed, far-right forces are planning a follow-up march in Richmond, Virginia, on September 16. We can expect more violence and intimidation from them there. This is a pivotal moment, one that calls for the left to mount a serious resistance, together. We cannot afford to let the white supremacist far-right use this weekend’s tragedy as a springboard to further organizing, consolidation, and terrorism. The U.S. body politic cannot afford it, the left cannot afford it, and Black America, which bears the brunt of such violence, certainly cannot afford it. LeftRoots stands tall in its commitment to ending all systematic oppression, including white supremacy. There is no denying that such injustice has a firm place in the United States’ past, but it has no place in the future we are building.